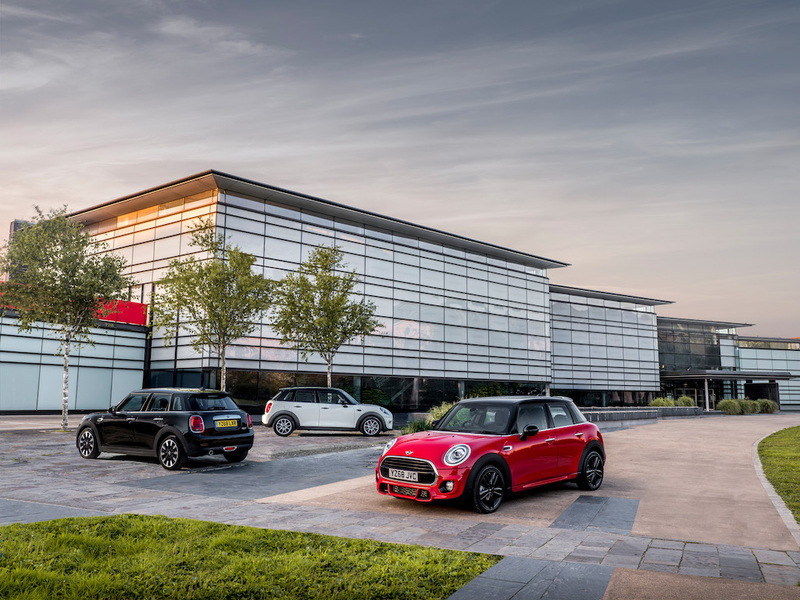 Mini has introduced a new trim structure for its UK line-up in a move to simplify the buying process. Previously, buyers chose their engines and then added in optional extra packs but the new five-stage process replaces this and aligns the equipment offering across the Mini range for the first time. Buyers now chose their model – from the three-door Hatch, five-door Hatch, Convertible, Clubman or Countryman – and then choose their engine from One, Cooper, Cooper D or Cooper S options. Buyers then chose one of three trim levels or ‘styles’ – Classic, Sport or Exclusive – which bring different exterior and interior features along with equipment. The entry-level Classic is offered on all models and includes 6.5-inch colour infotainment screen, intelligent emergency call, DAB digital radio and Bluetooth connectivity along with ambient lighting, exterior Mini logo projection and automatic headlights with rain sensor. Classic models are priced from £16,190 OTR for the three-door Hatch One. Sport models – which are available in combination with Cooper and Cooper S engines – include John Cooper Works Aerodynamic Kit and Spoiler, John Cooper Works Alloy Wheels, Sports Suspension, John Cooper Works Bucket Seats, John Cooper Works Steering Wheel and anthracite interior headliner. Exclusive models – which are also available in combination with Cooper and Cooper S engines – build on the Classic model specification with upgraded alloy wheels, chrome line exterior finish, leather upholstery and leather steering wheel and bespoke interior trim. Prices for both the Sport and Exclusive models start from £20,230 OTR for the three-door Hatch Cooper. Buyers then have the option of just two packs – Comfort or Comfort Plus – with the familiar Chili and Pepper packs having been discontinued. Comfort brings a range of functionality features including rear park distance control (PDC), dual zone automatic air conditioning, seat heating and more. Building on these features, Comfort Plus Pack adds a rear-view camera, folding and dimming exterior and interior mirrors and front park distance control. Finally, buyers can then opt for individual options. The new approach is intended to simplify the customer purchase journey and follows measures by other carmakers such as Seat to streamline their options lists, including in response to the introduction of the new WLTP test cycle, which will take into account the options fitted to a car. Mini’s new trim structure also comes as the carmaker launches an online service that enables customers to carry out everything from ordering vehicles and arranging a test drive.